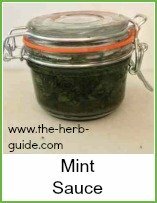 Here is the second set of mint herbs photos. 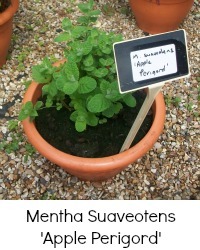 Not so much to write about these - just gorgeous photos of the different types. 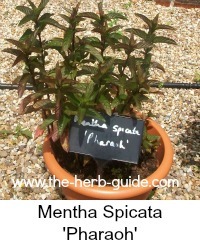 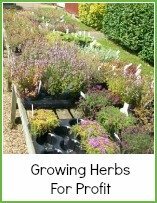 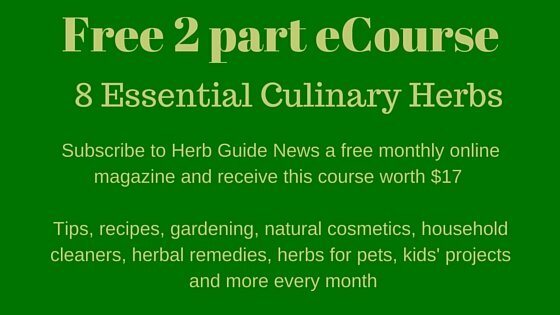 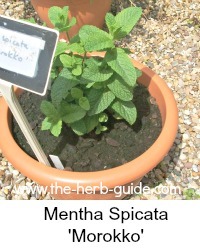 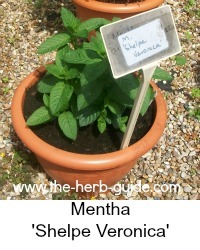 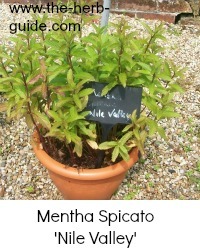 If you were to be interested in growing herbs for profit - mint is an excellent choice to make. 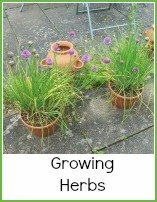 It is very fast growing and difficult to kill even for those less green fingered. 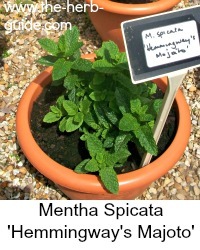 So all on this page, where you see that written, you'll know that it's a variety of that type of mint. 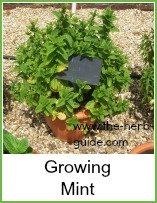 It grows quite thickly making dense mats. 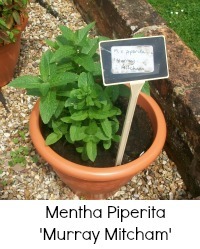 Not quite as small as the Corsican though. 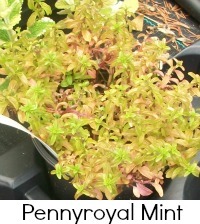 A very attractive variegated form of mint. 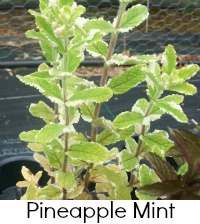 A distinct smell and flavor of pineapple. 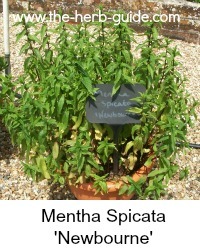 This would be useful for adding to drinks and making pot pourri. 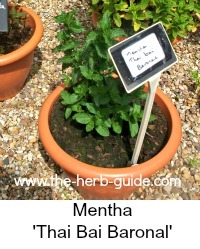 The following herbs were photographed by me on a trip I had to Iden Croft Herbs Garden in Kent, UK. 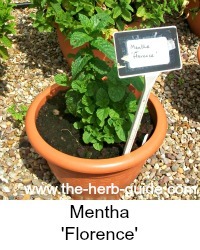 It was a lovely sunny day as you can see - the smell of all the herbs was fantastic. 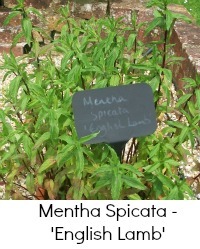 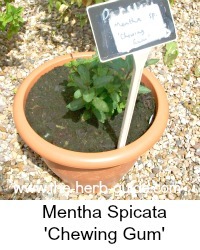 They hold the NCCPG (National Council for the Conservation of Plants and Gardens) collections for Mentha and Nepata (catmint) and Origanum. 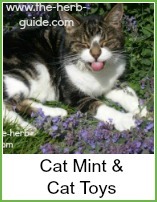 The last photo is of course, not from there but my friend, Corinne's cat Alfie lying in his personal patch of catmint.